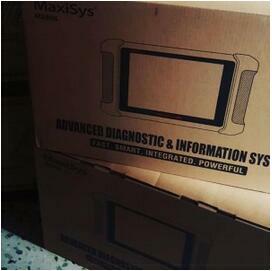 tablet is shipped from the factory to customers. paper box. 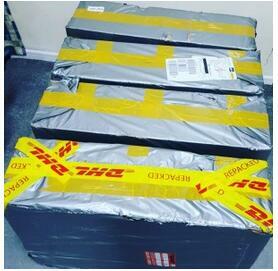 Then, the package will shipped for FREE, usually via DHL, for 3-5 working days. 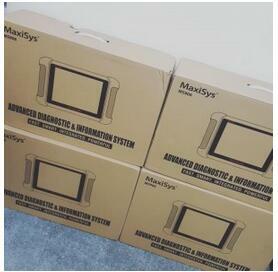 Please read maxisys-ms906-user-manual.pdf before you begin to use it. 4.1 year warranty and 1 year free online update . 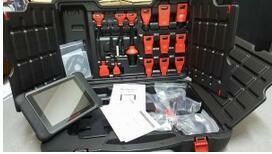 How to use Autel MS906? Powering Up Press the Lock/Power button on the top right side of the display tablet to switch the unit on. The system boots up, and shows the lock screen. Press and drag the inner ring to the edge of the circle to unlock the screen; the MaxiSys Job Menu is shown. Figure 3-1 Sample MaxiSYS MS906 Job Menu 1. Application Buttons 2. Locator and Navigation Buttons 3. Status Icons NOTE: The screen is locked by default when you first turn on the display tablet. It is recommended to lock the screen to protect information in the system and reduce battery usage. Almost all operations on the display tablet are controlled through the touch screen. 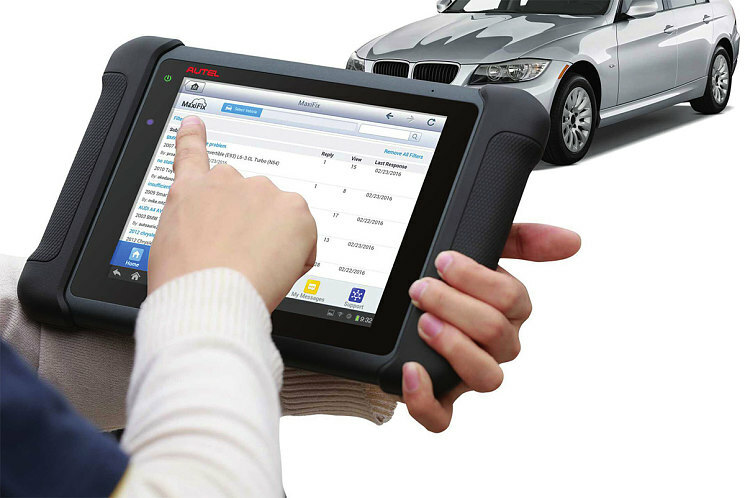 The touch screen navigation is menu driven, which allows you to quickly locate the test procedure, or data that you need, through a s eries of choices and questions. Detailed descriptions of the menu structures are found in the chapters for the various applications. Getting Started Powering Up 10 3.1.1 Application Buttons The Autel Tools Application buttons configure the MaxiSys for the type of operation or activity to be performed. The table below gives brief descriptions of the available applications. Use your finger tip to select an application from the Job Menu. Cummins INLINE 6 Data Link Adapter is fully compliant with TMC’s RP1210 standard, and has been designed and environmentally tested to Cummins standards to be rugged and reliable. This is probably the best known engine produced by Fortune 500 manufacturer Cummins, who are based in Columbus, Indiana. It is best known for being fitted in the Dodge Ram pick up truck, with its first appearances being in 1989. Cummins 5.9 inline six cylinder engines are fairly easy to come by on the used parts market, and due to their popularity are also fairly easy to get serviced. This engine is often referred to as a ‘B Series’ engine or ISB, though there are a variety of engines in the Cummins B series. 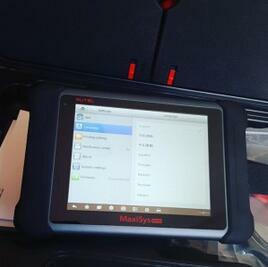 Here is the comparison table of Cummins Insite Inline 5 and Cummins INLINE 66 data link adapter heavy-duty/truck diagnostic scan tools. According the original Cummins Inline 6 data link adapter chip 1:1 to design appearance, all chips welded, protective in good, fully functional, include obd2tool.com design. Inline5 cut corners to save costs. 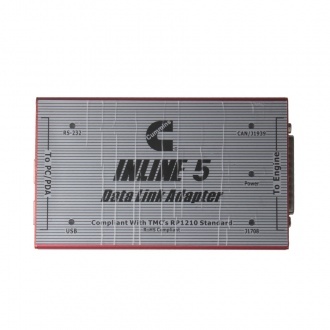 Cummins INLINE 6 Data Link Adapter January newest arrival truck diagnostic tool for cummins engine. And it is controlled by advanced 140 MHz 32-bit Freescale processor for maximum speed and performance. 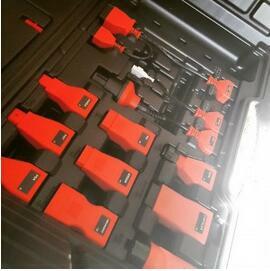 Are you tired of trying to get a handle on all the vehicle data link adapter options available that are costly, unreliable, and serve only particular engine makes and service tool software applications? Cummins has introduced a new data link adapter that is fully compliant with TMC’s RP1210 standard, and has been designed and environmentally tested to Cummins standards to be rugged and reliable. We are pleased to offer you more for less. 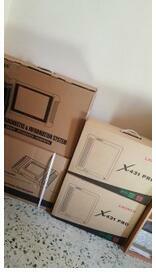 1.Android 4.0 Operating System for fast boot-up and multitasking,with big screen. 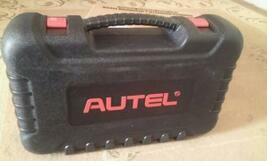 2.Autel ms906 work function better than ds708. 3.Runner Faster Than DS708 and highly recommend. 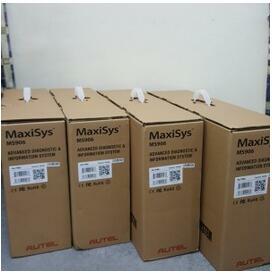 4.Autel DS708 will stop producing any more,Autel Maxisys MS906 will be perfect replacement for Autel DS708.